Within hours after it was reported that BJP chief Amit Shah's BJP-led Modi government will begin construction of Ram Mandir in Ayodhya before 2019 elections, BJP has refuted the media reports regarding the same. The media reports quoted party’s national executive member Perala Sekharjee claiming that Amit Shah said that the construction will begin before the Lok Sabha elections. Rubbishing the reports, BJP stated that Amit Shah did not make any statements in regard to Ram Mandir and its construction. It further claimed that no such matter was even the agenda behind the meet chaired by BJP president in Hyderabad. According to a report by IANS, Sekharjee had quoted Amit Shah while addressing the media post the BJP leaders meet and said that the construction of Ram Mandir will take place before Lok Sabha 2019. 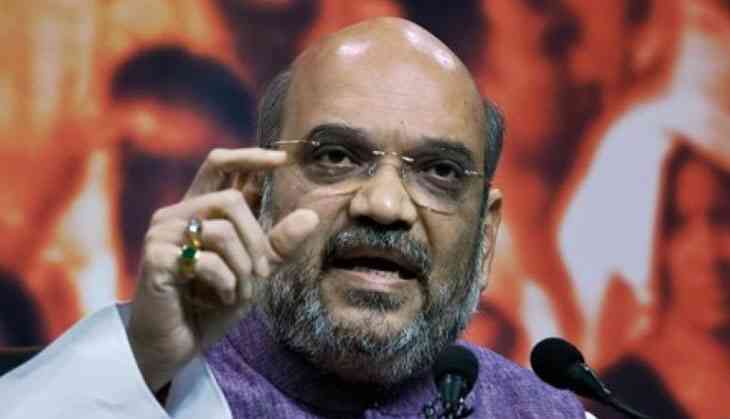 Rubbishing the media reports on Ram Mandir construction in Ayodhya, that reportedly quoted Amit Shah, BJP took to his official twitter handle and cleared that the party chief Shah didn’t make any of the statements being reported by media houses and added that Ram mandi was not the agenda of the party meeting held on Friday. Yesterday in Telangana, BJP President Shri @AmitShah didn’t make any statement on the issue of Ram Mandir as being claimed in certain sections of the media. No such matter was even on the agenda. Joining the chorus, BJP leader NR Rao said that “BJP is committed to the construction of Ram Temple.” He added that Amit Shah personally wants it to be constructed before the 2019 elections begin. 2019 Lok Sabha Elections are just a few months far and to be held nearby April-May by the next year. BJP and opposition party Congress are buckling up to bag majority of votes to form their government for the next five years of tenure leading the war of words between the party leaders.